Everyone can ride a bike! We will begin by welcoming you to Hemsedal. Have you come here for biking? Then maybe we can help you. 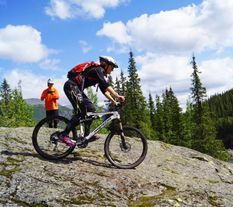 In Hemsedal there are many great biking opportunities. Everything from easy fine gravel roads to extremely difficult biking. You set the limits, and we are always happy to help with both guiding and instruction. We have a fantastic arena to practice in, our magical nature. 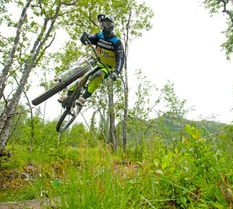 With our guides and instructors we're going to take you to Hemsedal finest trails and rides on mountain bike / trail bike or learn to handle a downhill bike. If you want to be better, faster and safer biker we are here to assist you! Are you looking for an instructor at times that are not available in the booking system, do not hesitate to contact us, we set up hours and tours as it is possible. Booking one day in advance before 11.00.